On 15 April 2019 Yamatji Marlpa Aboriginal Corporation (YMAC) marked its 25th Anniversary since it was originally incorporated on 15 April 1994, under the name ‘Yamatji Barna Baba Maaja Aboriginal Corporation’. Full representative body status was achieved under the Native Title Act later that same year on 6 December. Since it began operating, the Native Title Representative Body (NTRB) has seen thousands of Traditional Owners gain recognition of native title, and today, YMAC represents more than 20 Traditional Owner groups. YMAC Co-Chairperson – Yamatji Region, Peter Windie said that native title determinations are a key focus for YMAC, and his big picture vision for all claim groups is to achieve determinations, reuniting every language group back with their Country. “One thing Native Title has given us is the empowerment and ability to fight together for a common goal, and this has brought us closer together with other Traditional Owners,” Mr Windie said. 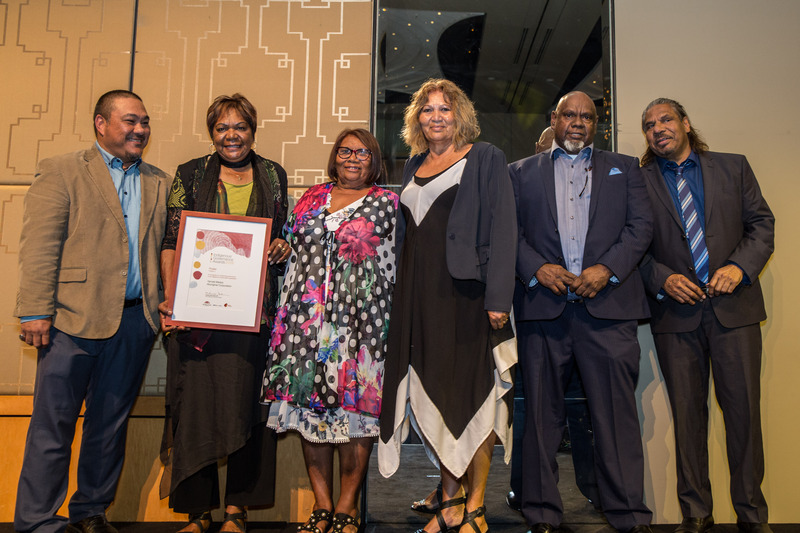 YMAC Co-Chairperson – Pilbara Region, Natalie Parker, said that having native title for all language groups recognised; helping people get back to Country; and passing knowledge onto younger generations was important. “It means so much to me. Without our Country, our Mother, we wouldn’t be here. She is our provider and our keeper,” Ms Parker said. 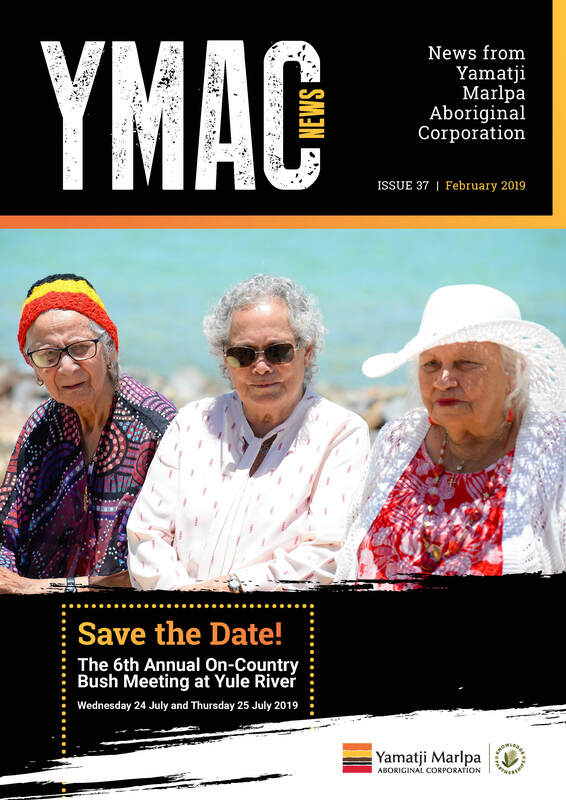 A series of activities, and special publication to mark this quarter century of working alongside Traditional Owners to achieve recognition of Country are planned as part of YMAC’s 25th anniversary celebrations. At a Federal Court hearing on 16 April 2019 – at Gascoyne Junction, on neighbouring Yingaarda Country, WA – the Thiin-Mah Warriyangka Tharrkari Jiwarli (Thin-mar, Worry-anga, Thuc-ari, Ji-warli) people were formally recognised by the Federal Court as native title holders. The judgement made by Justice Murphy recognised the native title rights and interests held by the Combined Thiin-Mah Warriyangka Tharrkari Jiwarli peoples’ in relation to the land covered by the Determination Area. 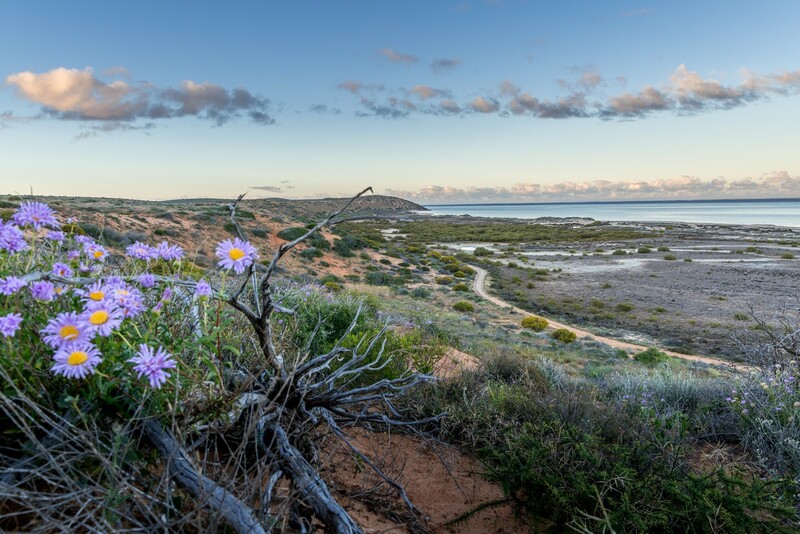 The determination area covers approximately 6,804 square kilometres of land lying within the Shires of Ashburton, Carnarvon and Upper Gascoyne. The Thiin-Mah Warriyangka Tharrkari Jiwarli people have maintained a traditional connection to this area since time immemorial, with a vibrant living culture maintained through stories, spiritual connections to the ancestors and Country, caring for and managing Country and waters, and by passing on traditional knowledge through each generation. Thiin-Mah Warriyangka Tharrkari Jiwarli people have a strong connection to their land and waters through their intrinsic local knowledge of its natural resources and the land. Traditional Owner, Herbert Eagles, said, “We stand on the shoulders of our ancestors, and I know that they would be proud that our connection to Country has been honoured today by the Federal Court. “We can now look forward to the future and creating a legacy for our children and our children’s children,” Mr Eagles said. Traditional Owner Ben Roberts added, “Today means everything – Ngurra – Country. It’s been a good journey with the people, we have walked together, and will continue to walk together every step of the way – to see a different world, to see a different future. This is for the past and the present, this is for the children,” said Ben Roberts. The latest issue of YMAC News is available online, to download your copy click here. On 7 March Aboriginal Affairs Minister Ben Wyatt launched a discussion paper addressing long overdue changes to the State’s Aboriginal Heritage Act (1972). YMAC has long advocated for an overhaul of the Act, and it’s great to see that not just an overhaul, but a repealing of the existing Act and new Aboriginal heritage legislation is being proposed. Aboriginal heritage sites across the State not only hold deep cultural significance for Aboriginal people, they are iconic and in many cases internationally recognised. YMAC believes it is particularly important that we see change with respect to ensuring Aboriginal people have a strong say in an appeal process on decisions affecting their heritage and land. YMAC encourages Traditional Owners to get involved and attend these sessions. For timing and location details, as well as other locations throughout the State, click here. The Close the Gap campaign is about improving health outcomes for Aboriginal and Torres Strait Islander peoples. It is a highly regarded movement for Indigenous Health Equality that has shaped government policy. It is led by Aboriginal and Torres Strait Islander organisations and supported by mainstream health and advocacy organisations from around the country. Why is closing the gap so important? Aboriginal and Torres Strait Islander peoples can expect to live at least 10 years fewer than other Australians. Babies born to Aboriginal mothers die at more than twice the rate of other Australian babies, and Aboriginal and Torres Strait Islander people experience higher rates of preventable illnesses such as heart disease, kidney disease and diabetes. The mortality rates for Aboriginal and Torres Strait Islander peoples is on par with some of the world’s most impoverished nations. “Be part of the generation that closes this gap forever”. To sign the Petition to Close the Gap click here. To find out more about the campaign and how you or your organisation can get involved click here. Photo: Malgana Country. Photo by Jose Kalpers from YMAC, with the permission of the Traditional Owners. 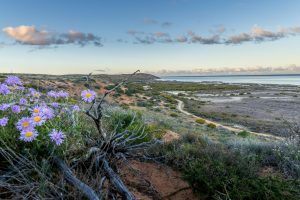 Yamatji Marlpa Aboriginal Corporation (YMAC) has welcomed plans by the WA Government to expand the State’s conservation estate, creating five million hectares of new parks and reserves over the next five years. The expansion will go hand-in-hand with the principle of jointly managing, and in some cases jointly vesting, these new reserves with Traditional Owners, which means valuable training and employment opportunities. YMAC is proud to already be assisting such ranger groups, through the Nyangumarta and Malgana land and sea management programs. YMAC looks forward to assisting with the consultation process associated with Government’s ‘Plan for Our Parks’ and will strongly encourage Traditional Owners to get involved. To download YMAC’s media statement click here. To view the Plan visit: pws.dbca.wa.gov.au/planforourparks. The Federal Court’s Justice Reeves with Palyku Applicants at the Native Title determination, Wild Dog Creek, Newman WA. 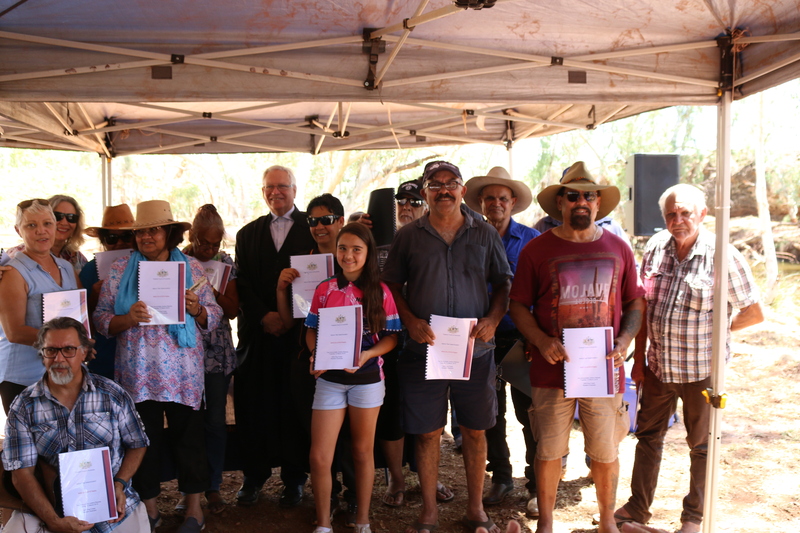 It was a long time coming to achieving native title recognition for the Palyku people and yesterday was an emotional occasion for many as the Federal Court formally recognised the Applicants as native title holders over a determination area of 9,308 square kilometres. The on-Country court hearing was held at Wild Dog Creek – approximately 155 kilometres north of Newman, WA. About 100 people attended the hearing, including representatives from the Federal Court, State and Federal governments, and Traditional Owners. More than 200 guests attended the 2018 Indigenous Governance Awards (IGA) at the Crown, Melbourne in November last year. YMAC is honoured to have been acknowledged as a finalist at the awards ceremony. The awards highlighted the fact that Aboriginal people have managed this land for a long period of time, and Elders have continued to pass on their knowledge, traditions and customs to future generations. Australia is a richer place because of this strong connection to culture. 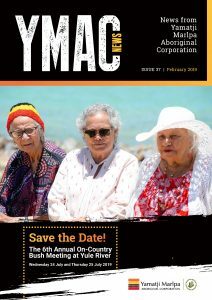 IGA has recently released the finalist videos, to view YMAC’s video in the Category A section (Outstanding examples of Indigenous governance in Indigenous incorporated organisations) please click below. YMAC’s Board of Director’s at the Indigenous Governance Awards in Melbourne. Community information sessions will be held from Wednesday 6 March to Thursday 28 March, 2019 at 10 locations including Perth, Geraldton, Mullewa, Northampton, Carnarvon and Port Hedland. All members of Hutt River, Mullewa Wadjari, Southern Yamatji and Widi Mob claims or persons who are the descendants of the apical ancestors listed in the notice are invited to attend one or more meetings. A key part of the YNSRA negotiations will be to consult with the broader Traditional Owner community. The sessions will provide an opportunity for you to receive more information, ask questions and provide feedback on what is being negotiated. Your attendance and feedback is important – it will assist TONT members and your legal advisors to negotiate a better Agreement for your whole community. For more information about the community sessions and to view the dates and locations for March please click here.